Whoever came up with happy hour $5 appetizers is a genius. Bob and I visited our local Seasons 52 recently and totally enjoyed picking out a few of these along with a glass of wine. It’s a quick, relaxing date. An opportunity to reconnect over a light meal. Plus if I choose the wrong thing, which equates to anything I don’t like, it was only five bucks. I am not a culinary guru. I can’t taste something and dissect the flavors on my palate, but I know what I like and even more what I don’t like. Sometimes, though, I wonder if I might really like what I claim not to like. Perhaps I’ve just not given it enough of a chance. Maybe my tastes have changed. Maybe I’m evolving into a foodie. Maybe, but probably not. But Bob loves variety, so we ordered the wood grilled meatballs with roasted tomatoes and Parmesan. One bite was more than enough for me to know that I didn’t like these, so I took another bite and then one more. With each bite I tried to figure out what was in with these funky tasting meatballs that Bob was enjoying. I struggled to discern the weird taste. Finally I came up with it – metal. Possibly iron. Or maybe some of the burnt wood which they grilled them on. In an effort to get that terrible taste out of my mouth, I finished off Bob’s glass of wine, which he offered in payment for me hating his food choice. He made the exchange happily as he polished off the meatballs. Earthy was putting it mildly. That ingredient should have been listed on the menu. Please! But, that explained a lot. I hate mushrooms, so this was good news. I had begun to doubt my mushroom hatred. I wondered if I had given them a fair shake or maybe I was just used to saying I hate them. Nope. I hate them. You can hide that fleshy fungus deep inside of an otherwise pleasant-looking meatball, and I still will turn my nose up at it. I guess it’s true what they say – it’s what’s inside that counts. Evidently that goes for people and meatballs. On the bright side, they were only five bucks. Plus, Bob did let me finish his wine. Most of all, I felt justified in my long-held mushroom disdain. That was worth $5 all by itself. 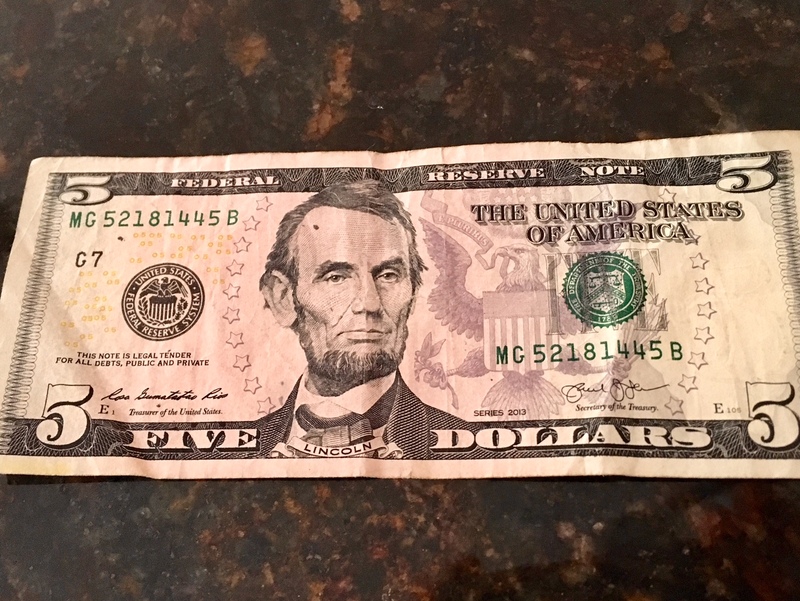 Honest, Abe, I love $5 appetizers (most of the time).